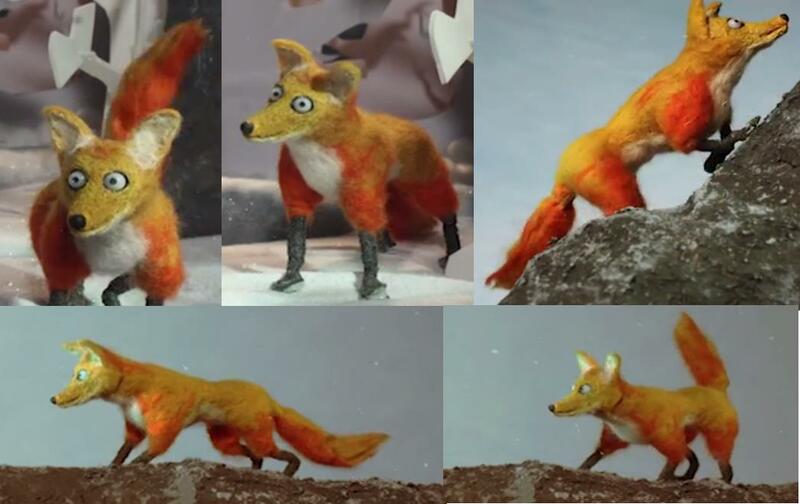 This fox puppet I made for a 1 minute film that was a student project at the Bristol School of Animation. 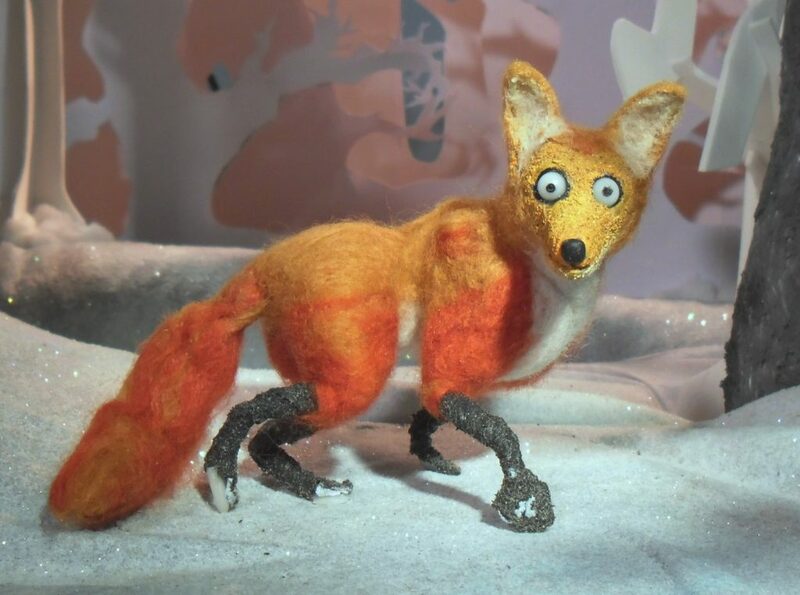 The film was a collaboration between me and Laura Tofarides, where I built the puppets, she built the sets and we both animated. The fox puppet has a simple wire armature inside and the outside was made using needle felting techniques as well as various other materials including foam, latex , polymorph and super sculpey. 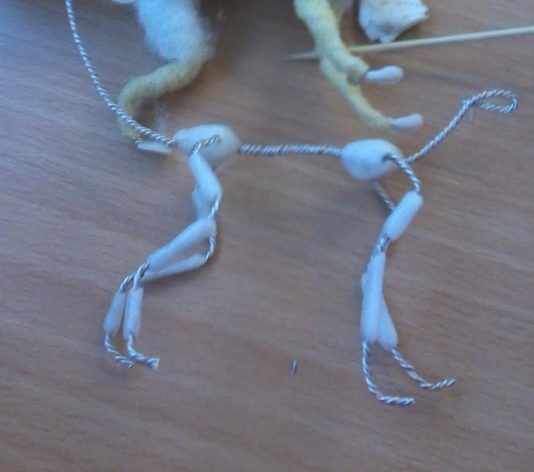 The puppet is very light and the feet have pin tie downs that pin through a foam surface in the set. See the image gallery below for more pictures and details about the fabrication process. 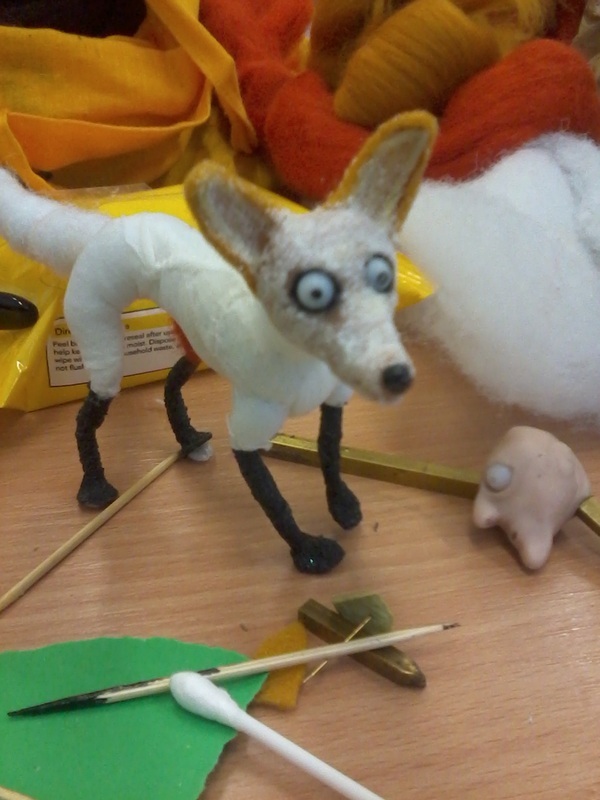 Fox armature in progress. Aluminium wire and polymorph. 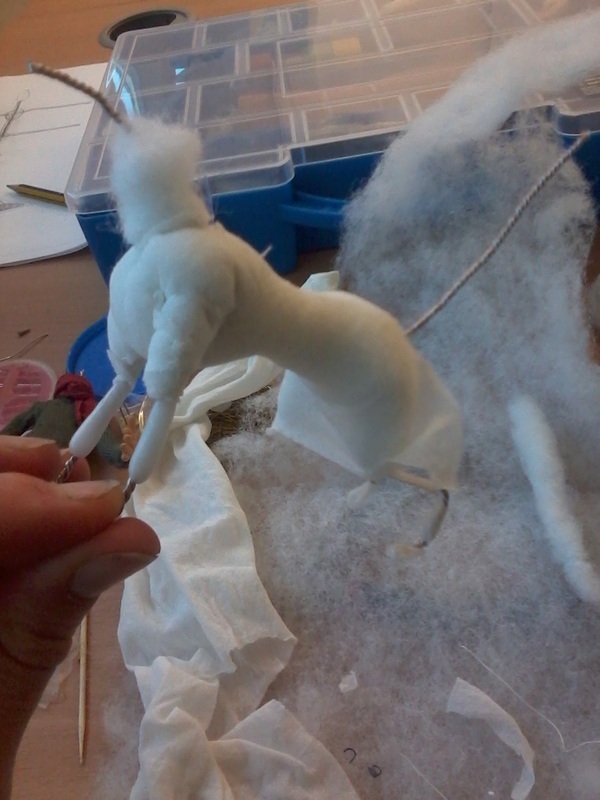 Bulking out the armature with cushion filling material. Shaping the bulk of the body using tights. 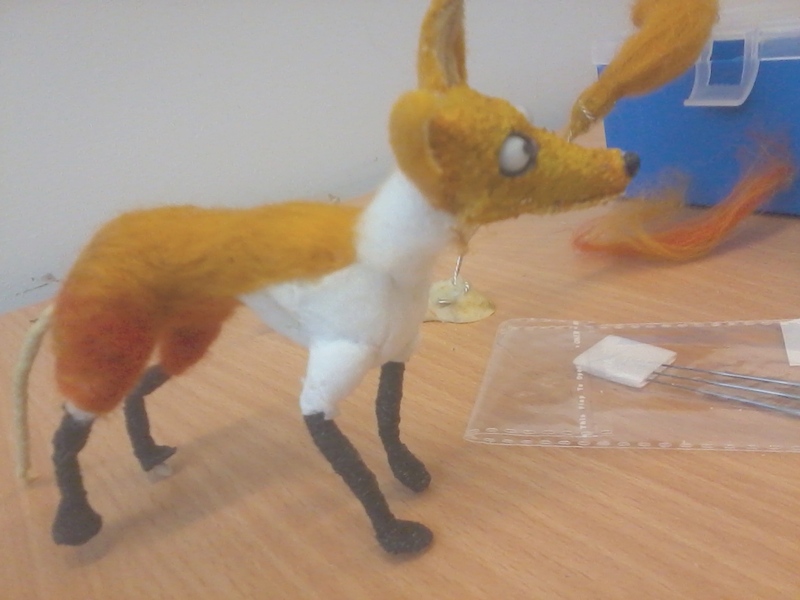 Finished body before applying needle felting wool. Legs are foam soaked in latex with black paint. 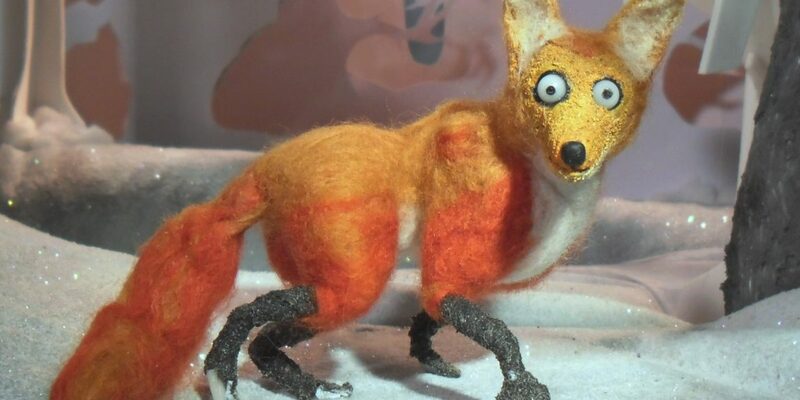 The head is baked super sculpey with small beads inside that can rotate, ears from felt with wire inside and texture added to the super sculpey to appear more ‘furry’ and blend with the rest of the felted body. 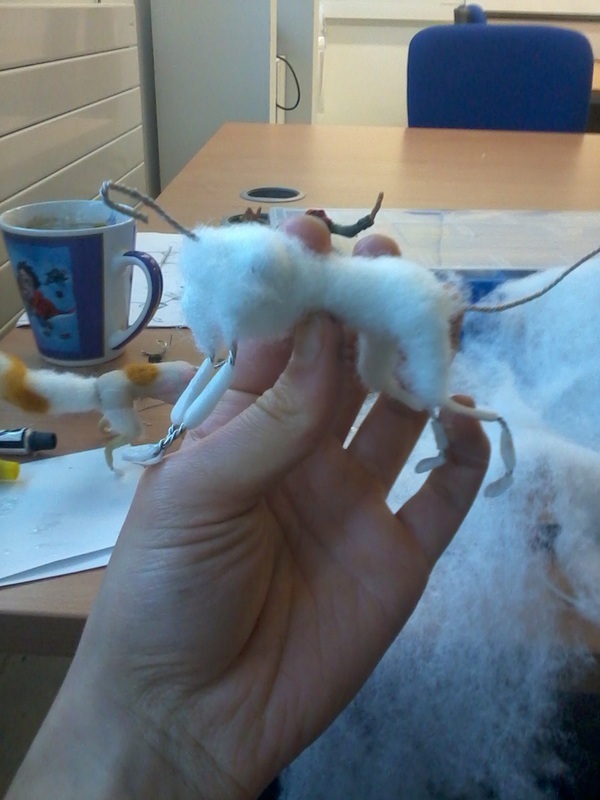 Needle felting fur cover in progress.